When Nokia entered the Windows Phone market, one of their strategies to attract customers was to provide exclusive apps and games for their Lumia Windows Phones. 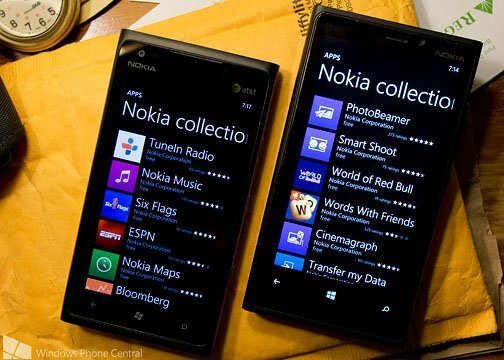 While other Windows Phone manufacturers offer similar collections of apps, the Nokia Collection is by far the largest offering. From Xbox Live game titles to camera apps to utilities to news apps, the Nokia Collection adds to the attraction the Lumia Windows Phones have. As of December 2012, Nokia has over 50 exclusive apps and games available to those with Lumia phones.